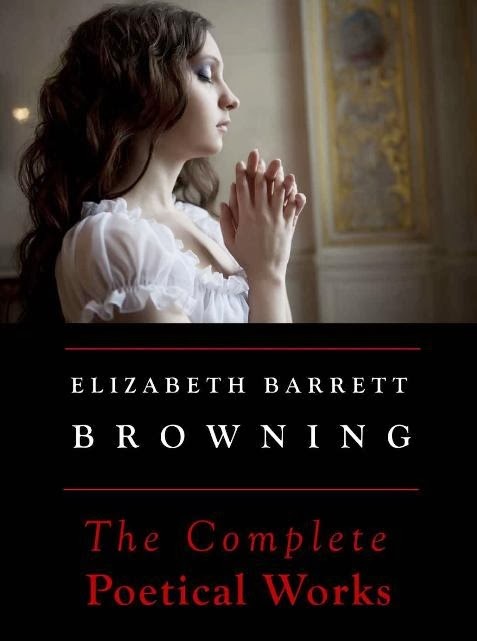 The poet Robert Browning married the invalid poet Elizabeth Barrett Browning in 1846 and they lived for most of their married life together in Florence in an apartment opposite the Pitti Palace in a building called Palazzo Guidi. Elizabeth christened their apartment Casa Guidi. Robert’s love affair with Italy was longer than his wife’s. 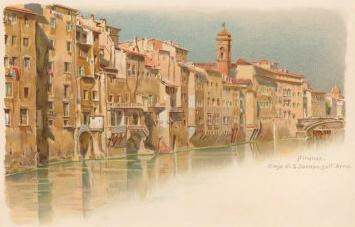 His first journey to Italy was in 1838. and he was inspired by Italy’s history and artists in his poetry. It was actually Elizabeth’s doctor who first suggested she be taken to Pisa during the English winter to enjoy the milder climate. But it took their elopement to make that happen, because Elizabeth’s over-protective father did not give his permission for her to travel for her health, and to avoid his forbidding it, Elizabeth never asked his permission for her marriage to Robert. Pisa lead to Florence, where they both fell in love with the town, and found many friends in the expatriate community for which Florence was, and still is, famous, and among the Florentines. 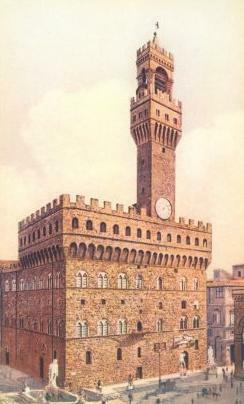 Her first visit to Florence prompted Elizabeth to write home on August 20, 1847: “This Florence is unspeakably beautiful…”. Their love a Florence persisted, and even if they did travel around much of central and northern Italy, and to England and France, they always returned to Florence. All of Italy fascinated Elizabeth. In her poem “The North and the South” she explains the differences she saw between Northern Europe and Southern Europe, namely Italy. Elizabeth wrote a poem set in the Cascine, a large park in Florence, called “The Dance”. It is about the Florentines expressing their gratitude to French soldiers who offered a reprieve from the repressive control of the Austrians. Her 1851 poem “Casa Guidi Windows” describes in two parts Italy’s growing Risorgimento, unification movement, and it’s intensifying struggle for nationhood against the foreign powers who administered her fate and kept her looking like a jigsaw puzzle on the maps. The poem made her an instant hero in Italy, but it was poorly received abroad, where commentators felt female poets should stick to love sonnets and eschew politics. Only later, and mainly by female writers, was the poem’s beauty and passion appreciated. 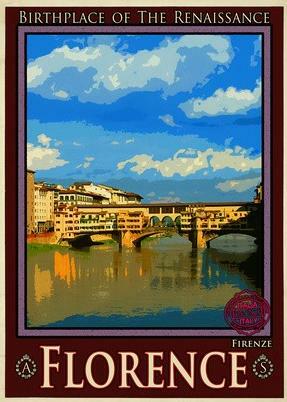 In the poem, Elizabeth makes many references to Florence, and to Italy’s illustrious cultural and historical icons. But it is often the first paragraph that catches people’s eye, ear and heart. The great political issue is introduced by a recounting of something she’s heard through the windows of Casa Guidi. Later she recounts what she’s seen through the same windows, hence the title of the poem. 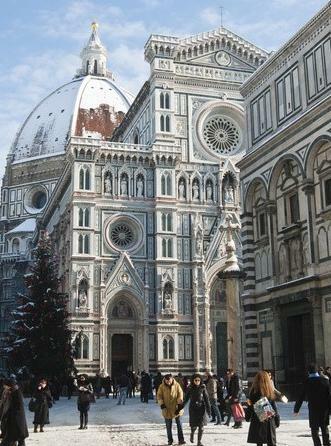 ‘Twixt church and palace of a Florence street! Elizabeth’s poor health worsened when she learned of Cavour’s death. Cavour was the diplomat to Garibaldi’s soldier, and together they paved the way for Italian unification. Elizabeth passed away in Florence, and while Robert left, heartbroken, with their son for England, never to return to Florence again, he did not lose his love of Italy. Robert wrote after his wife’s death, when he was settled in England, “…How I yearn, yearn for Italy at the close of my life!…” He was in the process of purchasing land in Venice when he passed away. He died in Venice’s famous Ca’ Rezzonico, a palace on the grand canal, the home of his son and daughter-in-law. Open my heart and you will see, Graved inside of it, `Italy'. To read these poems in full online, and to learn more about the Brownings and their son, visit my Brownings page at Italophiles.com (Candida Martinelli's Italophile Site), my Italian culture website. Or you can download the free e-book in various e-book format from the Internet Archive, a rich source of scanned books.